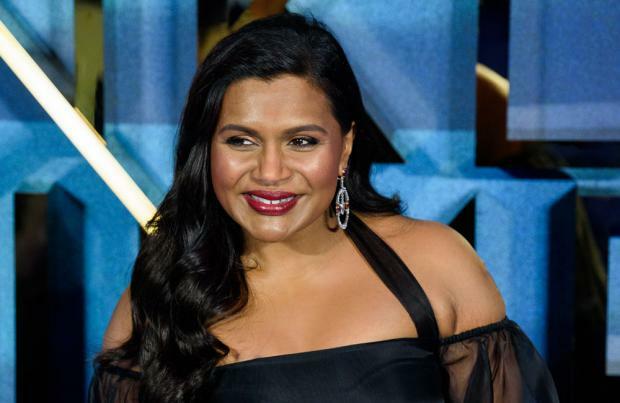 Mindy Kaling loved how her 'A Wrinkle in Time' character was updated. The 38-year-old actress stars as Mrs. Who in Ava DuVernay's new Disney movie - which is based on the 1962 novel of the same name by Madeleine L'Engle - and in the book the character speaks through quotations including Shakespeare, Dante and the Bible. But in the new movie adaptation, Mrs. Who has been updated to feature more contemporary references including Lin Manuel Miranda and OutKast and Kaling said it was "cool". Speaking on 'Lorraine' on Wednesday (14.03.18), Kaling said: "It was cool that they updated the quotations from the original book which were more classic and from the Judaism/Christian history. This was updated to feature Lin Manuel Miranda and OutKast." Kaling stars alongside Oprah Winfrey as Mrs. Which and Reese Witherspoon as Mrs. Whatsit and her co-stars had nothing but praise for her as it was a challenging role. Winfrey, 64, told the chat show host: "She [Mindy] won't tell you how hard that is. We think that Mindy had the hardest role as Mrs. Who. "As our characters you get to ad lib, you can add a sigh, or a 'and' or a 'but', you get a little leeway with the language, but when you're quoting Shakespeare, you can't." The film follows Meg Murry [Storm Reid] who works with her highly intelligent brother and fellow student Calvin O'Keeffe [Levi Miller] and three astral travellers Mrs. Which [Winfrey], Mrs. Whatsit [Witherspoon] and Mrs. Who [Kaling] to rescue her father Alex [Chris Pine] who is being held captive on a distant planet. And Winfrey believes the film is a "universal story" and said the message of the movie is that "you are OK just as you are". She said: "It's a universal story. And you know, young girls, 13/14 years old, you try to figure it out. "You try to listen to your own voice and how to trust that instead of everybody around you and all the people who are bullying in one way or another, or trying to influence you in one form or another. "And the messages the 'Mrs' give to Meg is, 'You are OK just as you are'."